It seems fitting to end the first week of the New Year off with some Assassins. These ladies were feared by most opponents during our Kill Zone games. The ladies come with a boatload of power weapon attacks. Of course there is some downside, low toughness and subpar armor save. Still, once they closed with someone, it started to get interesting quick! The models themselves were very different from the rest of the army. 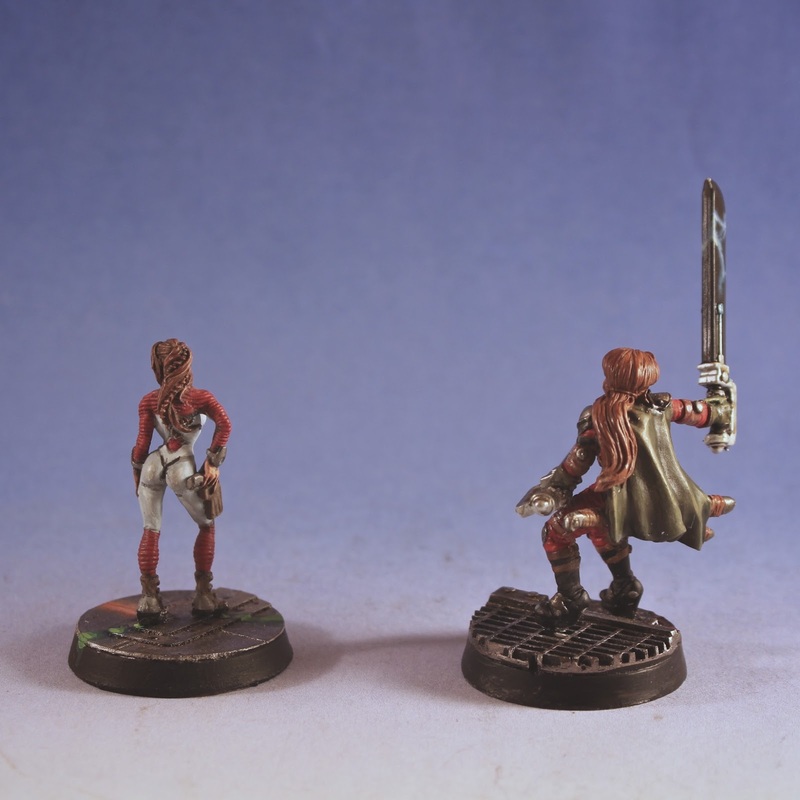 The lady on the left is an Infinity model, Szalamandra. Originally this was purchased for our Rogue Trader RPG. We had a female player who was looking for a cool model for her assassin. I wanted to surprise her with this model and low and behold- she found one too! 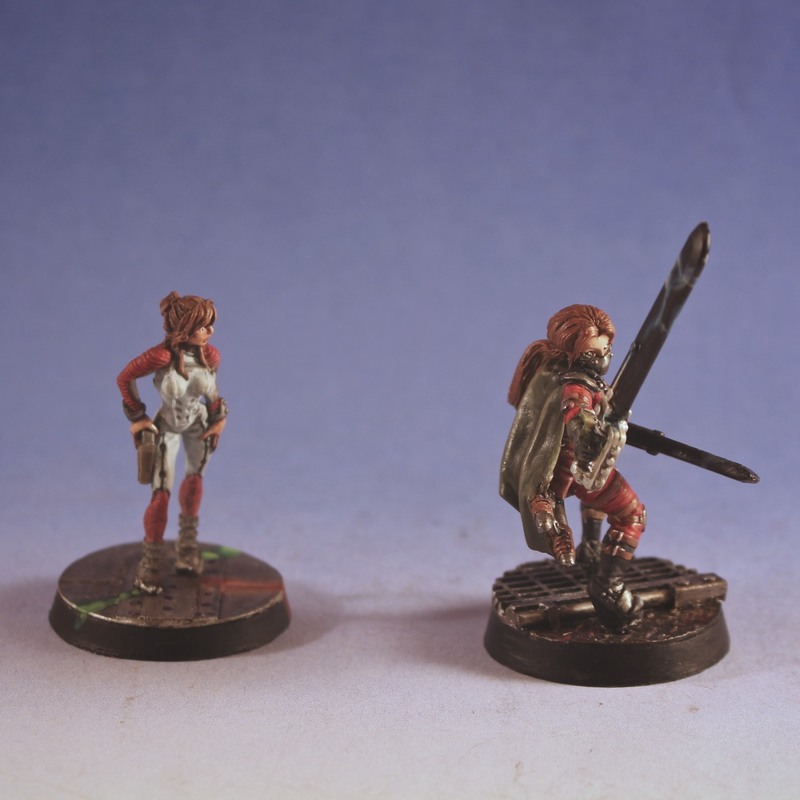 The game went on using her model instead, and Szalamandra stayed on my painting shelf. 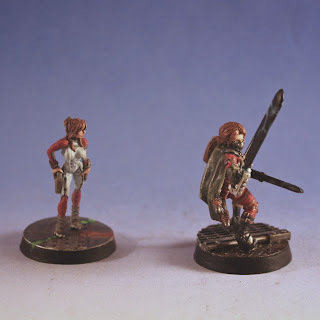 The lady on the right was Dark Age Forsaken model. It was originally, wait for it... our Rogue Trader game. No particular person or character this time around. I bought it when the model first released seeing some potential with the model and then quickly lost it in my bin of models! When she resurfaced, it seemed like an obvious addition to the team. Despite a few size differences, the models actually worked out well. 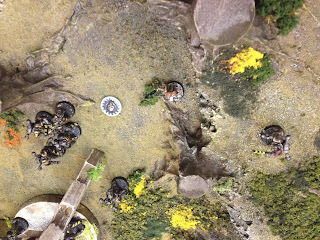 Most players seem to like a few non-GW models thrown into the mix giving them something new to look over while playing. 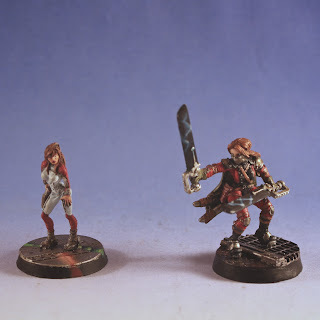 But mostly I just don't like the GW assassin models. That being said, these models are not perfect. The sizing is off and one obviously doesn't have a pair of power swords strapped to her waist! Finally some top down action. She was ready to take on all the chaos scum she could find (and hold that objective). She actually made all of those rapid fire saves.... except the last one.